We now have a bunch of Smart and Android TVs offering 4K LED screens, newer designs, and latest content. So, if you are looking for a new TV, these models might be right up your alley. This list of best-LED TVs contains both Smart and non-smart 43-49 inches LED televisions and they are in the range of Rs 30000 to 40000. If you are on a tight budget then you can go with the ones near Rs 30000 and if the price is not a problem then you can go for the LEDs from big brands like LG and Samsung which will cost you around Rs 40000. Here are our best picks under Rs. 40,000. The Mi TV 4X Pro 55 features a 55-inch (2160x3840 pixels) 4K UHD display with 10-bit color depth, HDR10, and runs on Android-based PatchWall UI. It is powered by a 64-bit Amlogic quad-core processor, paired with Mali-450 GPU, 2GB RAM and 8GB of storage. Further, this model houses 20W stereo speakers and supports DTS-HD surround sound, built-in Chromecast, as well as Google Voice Search. This is one of the best LED TV from Samsung which comes at the pricing of under 40000. At this price, Samsung used to offer a Full HD Television with old design but this TV comes with great improvements, let us find out. This is a 43-inch television which comes with a very sleek design and the screen has very thin bezels which add beauty to your room. The display is perfectly bright with wide angles allowing you to enjoy each of the movie or content you watch. Over a great display, this TV supports a resolution of 4K (ultra HD) making it a great value for money product. Samsung has never been more aggressive in pricing for such a featured TV. Thompson UD9 55 offers a 55-inch LED screen with 4K resolution, 60Hz refresh rate and 20W speakers. The HDR 4K Ultra HD display of this LED TV delivers bright and sharp images. The rich detailing of every frame will give you the best viewing experience when you are watching your favorite movies or music videos in high definition. The bezels around the display are thin which makes things even better. The sound output of this TV is 20W via the dual speakers. The loudness and clarity are decent but not the best of this segment. Still, most of the users will be happy with it. If you need more loudness or bass, you can always attach a sound bar or 2.1/5.1 external speakers. It is powered by a dual-core CPU and GPU with 1GB of RAM and 8GB of storage. Moreover, the Android-based OS supports several popular apps such as Netflix, YouTube, Facebook, Chrome and Skype. iFFALCON is TCL's sub-brand of Smart televisions. This TV comes with a massive 55-inch display which has a resolution of Ultra HD 4K. The tv comes with plenty of features such like Dolby Audio, True Color, UHD, HDR, and Google Voice Search is also there. The TV has a minimalistic design which looks great. Plus, the elegantly designed metal frame enhances the heat-radiating area while adding a hint of beauty to the overall design. The display on this LED TV is just gorgeous. It has good brightness and contrast and the picture looks super sharp and crisp thanks to the 4K resolution. The viewing angles are great as well. Feature like HDR and Micro dimming, provide a great watch experience. On the audio side, we have Dobly audio with Stereo Surround Sound Box Speaker which provides an immersive sound experience. The combined audio output from dual speakers is 16W but it feels much more than that thanks to quality speakers that were used in the tv. As this is an Android Smart tv, it comes with play store installed which means you can easily install a ton of apps and games. It has 2.5 GB of RAM and 16 GB of storage which makes multitasking and gaming smooth and responsive. You can watch your favorite shows and movies from apps like Netflix with just a click. 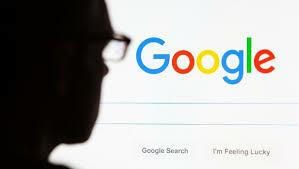 You can also use Google Voice search to use the tv. The voice search isn't perfect yet though. Onida is an age-old brand in India and has been innovating to meet the current trends. This LED TV available for under 50000 has a 50-inch display with Ultra HD (4K) display with beautiful and accurate color reproduction. With 3840 x 2160 pixels, the screen has perfect brightness and contrast and you would enjoy the entertainment content you would watch. The wide-angle view allows you to watch the TV from different parts of the room without the issue of light reflection affecting your view. There are narrow bezels along the sides of the LED TV and has a Brush steel finish with a slim design which looks attractive. One of the other important aspects of this Onida LED TV is that it is a Smart LED TV which runs on an Android Oreo 8.0 Oreo and is a Google Certified Android TV. This LED TV is powered by a Quad Core ARM processor with 2.5 GB of RAM and 16GB of internal storage. You can run all the apps from the Google play store and the TV has inbuilt Chrome cast to share your screen on the TV. You can play many games, customize the home screen to show your preferred content and apps for quick access. The Onida Remote is also a smart remote through which you can talk and on basis of your command, it will perform an action on the TV. Your voice acts as a source to change channels, start an application or perform any other operation. The speaker on this LED has a strong 20 W output and comes with Dolby sound technology that offers perfect speaker output and loudness. Apart from the WiFi, you also get 3 HDMI and 2 USB ports which will be used by the set top box, external speakers if required, pen drive etc. At the cost of under 45k, you get most of the features in this 50-inch television as seen in TVs in the range of 50000 to 60000. Onida also has 300+ service centers to ensure that you get proper service in case you ever face any issue. The Vu Premium Android 4K TV 50-inch model offers a 50-inch 4K (3840x2160 pixels) LED display with support for HDR10, Dolby Vision and Dolby Audio with 24W sound output. Based on the official Android TV platform, it is backed by a quad-core chipset, Mali-450 MP GPU, 1.75GB of RAM and 16GB of storage. This Vu TV also offers the latest connectivity options. TCL's 50-inch 4K LED model sports a 50-inch A+ LED screen with 3840 x 2160 pixels resolution and 60Hz refresh rate. It runs on a Linux-based operating system along with dual-core CPU and GPU. The TV also comes with support for Dolby Audio, HDR 10, TCL App store with T-launcher UI and T-cast app (for streaming content from smartphone onto the TV). The display panel is sharp, vivid and has beautiful colors. You won't be disappointed by the picture quality of this tv. The display panel has 4K resolution and delivers crystal clear images. The HDR Pro produces dazzling images with accurate reproduction of light and dark shades. The HDR 10 full support allows you to experience HDR content via HDMI, USB, TV, VoD. It also has Dynamic Picture Enhancement which ensures colors are depicted like real natural environment and makes images more detailed. There's a Sports mode which tweaks sound and picture settings to provide a better watching experience. The audio is delivered through dual speakers which have an output of 20W. It has Dolby audio which creates a rich, clear and powerful surround sound with Dolby decoder. MI has launched the first 49 inches LED TV in India as the Mi LED TV 4A PRO which is an Android TV and is available exclusively on Amazon. It comes with a Full HD resolution so that the movies and videos appear very crisp to you. MI has been known to provide a great quality product at the best price and this product very well qualifies on the same line. The Mi LED TV 4A Pro 49 sports a 49-inch full-HD (1920x1080 pixels) display with 8-bit color depth and runs Android-based Patch UI. This model is also powered by a 64-bit Amlogic quad-core processor, paired with Mali-450 GPU, 8GB storage and 2GB of RAM. 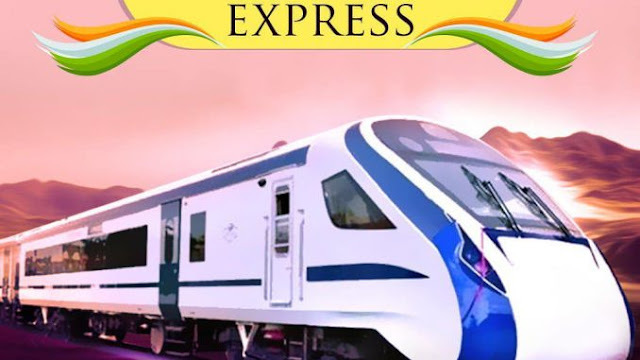 For the connectivity, MI had provided 3 HDMI and 2 USB ports to connect external peripherals like a set-top box, gaming consoles, Pendrive, laptop etc. The speaker has a powerful 20 W output with DTS-HD sound quality feature and outputs a strong volume for you to enjoy the movies. Further, it has DTS-HD audio, 20W speakers, built-in Chromecast, and Google Voice Search. Looking for a 43 inch Smart LED TV with all the latest features? This might be the one for you. This TV is 2018 series LED TV from LG with a 43 inch IPS display. It is a Smart TV and comes with a lot of new features. The 43-inch display has a resolution of 1920 x 1080 Full HD which means you get high-level details. The refresh rate is 60 Hz which is good for a blur-free picture quality. The TV has an Active HDR feature which provides delicate detail and lifelike colors. It also enables this LED TV to support multi HDR formats like HDR10 Pro and HLG (Hybrid Log Gamma) Pro. Display wise, this is one of the best 43 inch TV you would see. The TV comes with Magic remote which means you don't have to use multiple remotes. You can also share the content on your phone to this TV. It also supports Bluetooth audio so you can play songs on TV from your smartphone. With Cloud Photo and Video app you can share pictures and videos on a large screen. One interesting and important feature of this LED TV is the ThinQ AI. It offers an enhanced and interactive experience by employing Natural Language Processing. With this, you can control the TV with voice commands. It is similar to Apple Siri and Google Assistant which are common on smartphones these days. Go for it if you are looking for a latest 43 inch LED TV with new features, excellent performance and great after sales service of LG. It is one of the best 43 inch LED TV under 40000 in India. Panasonic is a trustworthy brand and has been in the market for quite a number of years. This is a 4K Led TV available for under 40000 and is a great value for money television. It has a display size of 43 inch which is very bright, the contrast is superior and the clarity is top notch thanks to the Ultra HD display. The design of this television looks great with very thin bezels all around. This is a Smart TV and has built-in WIFI. You can mirror your smartphone or stream videos and movies directly via internet. The remote has a mic which helps to control the TV with voice commands so if you hate typing, you will like this feature. The speaker volume is also amazing with a strong 20W speaker output which is loud enough for a medium-sized room. It has a specially designed Box speaker which envelops your auditory senses in all-consuming sound experience. This LED comes with 3 HDMI and 2 USB ports to connect external peripherals and 1-year standard warranty from Panasonic. At a price of under 40000, this is one of the best options available. Which one among these redefines budget Android niche? The launch of two new smartphones have spurred up a whole new in the budget segment: Redmi Note 7 Pro and Samsung Galaxy M30. While Samsung is trying really hard to take on Xiaomi, the latter is not taking it lightly either. Xiaomi launched two new phones in the country: Note 7 and Note 7 Pro. Samsung too have revamped its budget smartphone lineup in India with six new smartphones: three Galaxy M devices and three Galaxy A devices including the premium Samsung Galaxy A50 with in-display fingerprint sensor. So, today we are doing an in-depth comparison between the Samsung Galaxy M30 and Redmi Note 7 Pro. Let’s find out who’s the new king in the under 15K category. Both the smartphones come at a almost similar pricing, and are yet to go on sale. Redmi Note 7 Pro sports a glass sandwich body protected by Gorilla Glass 5 on both sides. It does look good and where Galaxy M30 majorly uses polycarbonate. In terms of durability, your chances of surviving a couple of drops would go with Galaxy M30 though. In terms of looks, Redmi Note 7 Pro appear more cooler and classy. Samsung Galaxy M30 and Note 7 Pro both come with water drop notch displays with slim bezels around the display. Both have heavy chins, but on the up, bezels are slightly thinner on the Galaxy M30. Samsung Galaxy M30 has a 6.4-inch Super AMOLED Full HD+ display. In comparison, Redmi Note 7 Pro sports a 6.3 inch Full HD+ LCD display. Note 7 Pro’s display has a higher pixel density of 409 ppi compared to pixel density of 394 ppi on Galaxy M30’s. The reverberation can’t be noticed visually. Though, Galaxy M30 with a Super AMOLED display compared to the LCD display on Redmi Note 7 does keep M30 ahead because of the panel and better colour reproduction. Samsung Galaxy M30 has an in-house Exynos 7904 SoC. On the other hand, the Redmi Note 7 Pro outperforms M30 with Snapdragon 675 SoC. Both are Octa-Core CPU units, where Exynos 7904 has two Kryo 260 Gold cores and six Kryo 260 Silver cores. In comparison, Snapdragon 675 has four Kryo 460 cores and four Kryo 460 Silver cores. Galaxy M30 with Exynos 7904 can handle day to day tasks easily, but Redmi Note 7 Pro with Snapdragon 675 has an edge with more cores and 11 nm fabrication technology. Galaxy M30 runs on Android 8.1 Oreo OS with Samsung’s custom UI. While the Note 7 Pro runs on the latest Android 9.0 Pie with custom MIUI 10. Both come with heavy bloatware, but Android 9 Pie on Note 7 Pro is an added advantage. Samsung Galaxy M30 and Redmi Note 7 Pro both are available in two storage options: 4GB RAM with 64GB storage and 6GB RAM with 128GB storage. Both support memory expansion via an external microSD card. Galaxy M30 supports up to 512GB and Redmi Note 7 Pro supports up to 256GB. Samsung has a dedicated slot for the microSD card, while the Note 7 Pro has a hybrid SIM, where it uses slot 2 for memory expansion. This is a game-changer. Both the smartphones have some top level rear camera systems. Galaxy M30 sports a triple rear camera system consisting of 13MP PDAF sensor, 5MP ultrawide sensor and a third 5MP depth sensor. While Redmi Note 7 Pro has a dual rear camera setup consisting of a 48MP primary sensor and a 5MP depth sensor. The 48MP Sony IMX 586 sensor on the Note 7 Pro outperforms most of the images captured on Galaxy M30. The latest technology offers better colour reproduction with high definition contrast. The front camera on both the smartphones can capture decent shots. Galaxy M30 has a 16MP selfie camera while the Redmi Note 7 Pro comes with a 13MP sensor. 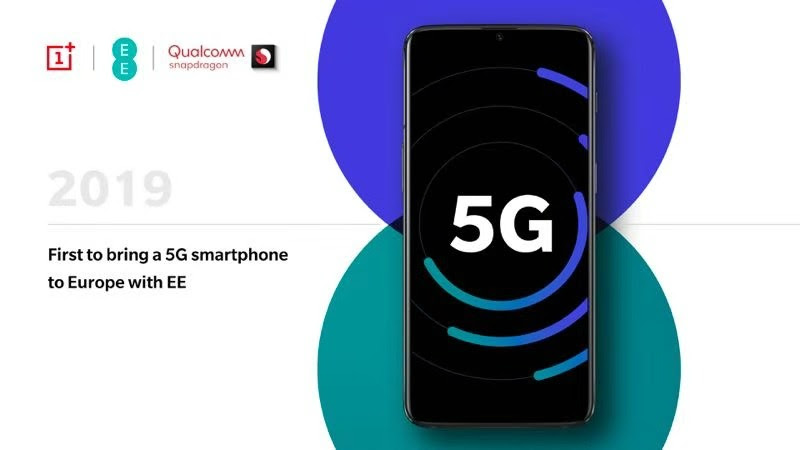 Both the smartphones come with rear fingerprint sensor, USB Type-C port, 3.5mm audio jack, Wi-Fi 5, Bluetooth 5.0, Infrared and dual-SIM support. Samsung Galaxy M30 runs on a massive 5,000 mAh battery. On the other hand, Note 7 Pro is powered by the same 4,000mAh unit. Snapdragon 675 on the Note 7 Pro will help the smartphone less power run more. Redmi Note 7 Pro also supports 18W fast charging while the M30 supports 15W fast charge. Samsung ships a 15W fast charger, while Redmi Note 7 Pro offers a standard 10W charger in box. Samsung Galaxy M30 and Redmi Note 7 Pro both are available in two storage options: 4GB RAM with 64GB storage and 6GB RAM with 128GB storage. Samsung has been able to deliver an awesome mid-budget smartphone at the price, but Galaxy M30 can’t stand against Redmi Note 7 Pro’s excellent combination of features. Samsung Galaxy M30 is not a bad smartphone, neither it’s overpriced, but Redmi Note 7 Pro wins big against Galaxy M30. The combination of a top processor and a great camera throws Redmi Note 7 way ahead. To wrap up, Samsung Galaxy is a great smartphone at the price, but Note 7 Pro is here to rule the market. The newly launched Xiaomi Mi 9 features a 6.39-inch Full HD+ AMOLED display which has been manufactured by Samsung. Like you would expect, the Mi 9 debuts with a notch over a 19:9 aspect ratio screen which makes the Mi 9 boast of a 90.7% screen-to-body ratio. The back panel of the new Mi 9 has an attractive holographic design finish which reflects different colours depending on the angle of light falling on it. Xiaomi claims that it has used nano-level laser engraving and dual-layer nano-coating to accomplish this. For protection, the Mi 9 puts the Corning Gorilla Glass 6 to use on both the front and back side. When it is about camera and imaging, the Mi 9 packs a triple rear camera setup which is vertically stacked and consists of a 48MP primary sensor (Sony IMX586), a 16MP ultra wide-angle secondary sensor, and a 12MP telephoto lens with 2x optical zoom. On the front, the phone flaunts a 20MP shooter for selfies. Further, Xiaomi has gone an extra step ahead to put the sapphire glass lens on the camera to protect it from scratches. The camera on this phone also comes enabled with 960fps slow motion and includes motion tracking capabilities. The phone also features improved image stabilisation and a Super Night Scene mode which would be helpful in low light photography. Possibly, the only thing disappointing that you might find about the new Mi 9 is the measly 3,300mAh battery. On the software front, the phone boots Android 9 Pie based MIUI 10. For security purposes, the phone comes with an in-display fingerprint sensor. Some additional features of the Mi 9 include the IR blaster and the support for a dark mode. Xiaomi’s Mi 9 Transparent Edition is the result of collaboration with the movie franchise from Disney, Alita: Battle Angel. The difference between the standard variant of the Mi 9 and the transparent edition is that the latter comes with an improved camera 48MP primary rear camera sensor, along with a 7P lens and f/1.47 aperture. The highlight, of course, as you would expect is that the phone features transparent back thus giving a glance of the phone’s internals and notching up the aesthetics. Under the hood, the Mi 9 Transparent edition rocks 12GB of RAM and 256GB of internal storage. The Mi 9 SE is the most affordable among the three. The phone sports a 5.97-inch OLED display which comes with a notch on top. This device also uses an in-display fingerprint sensor for authentication. The Mi 9 SE packs the Qualcomm Snapdragon 712 chipset paired with 6GB of RAM, 64GB and 128GB of internal storage and a power unit of 3070mAh. In terms of camera and imaging, the phone sports a triple rear camera setup which consists of 48MP+8MP+13MP sensors on the rear and a 20MP selfie shooter on the front. 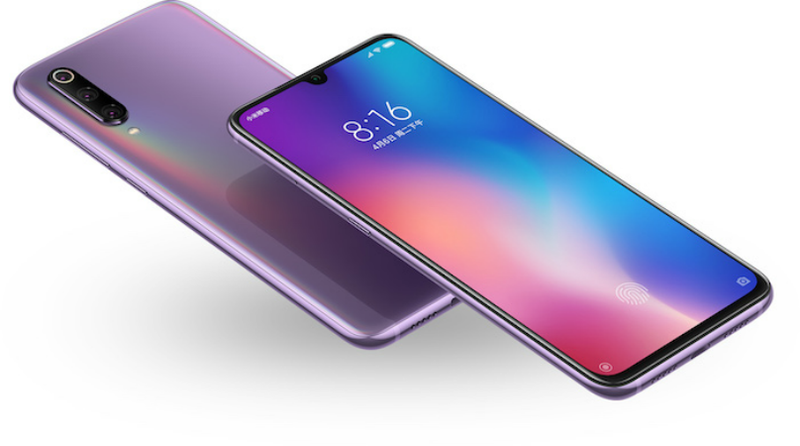 The Xiaomi Mi 9 will be available for the buyers in three different colours of Lavender Violet, Ocean Blue, and Piano Black, and it will bear a price tag of 2999 CNY and 3299 CNY for 6GB/128GB and 8GB/128GB variants respectively. The Mi 9 Transparent Edition will be a little higher priced, and it will debut in 12GB+256GB variant option with a price tag of 3999 CNY. The most affordable of all, the Mi 9 SE will come in 6GB+64GB, and 6GB+128GB variants and the shelf price of the phone will be 1999 CNY and 2299 CNY respectively. Alongside these phones, Xiaomi has also announced the launch of a wireless power bank which would pack 10,000 mAh and would retail for 149 CNY. The pre-sale for the Mi 9 is slated to begin at 6 PM in China today, and interested buyers will have to pay 100 CNY to pre-book the device. To keep things ticking, a 4,000mAh battery with support for 15W fast charging over Type C will be in place. The smartphone is also likely to come with a rear-mounted fingerprint scanner. The leak also hints at Samsung Pay Mini, Bixby, Dolby Atmos and AR sticker support. In the photography department, a triple camera setup of 25-megapixel primary sensor, a secondary 5-megapixel depth sensor and a third 8-megapixel sensor with ultra-wide lens will be in tow. Up front, there will be a 25-megapixel sensor for selfies and video calling. 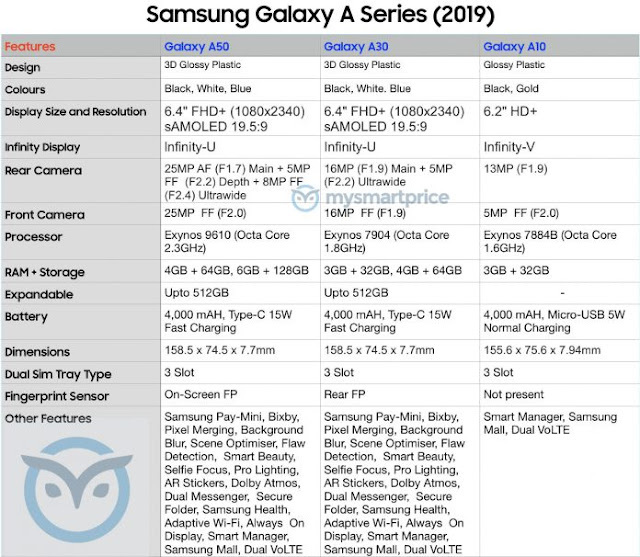 Just like the other two A-series smartphones, the Galaxy A50 will also come with a 4,000mAh battery featuring 15W fast charging over Type C.
There is, however, one thing that the leak doesn’t clarify – the Android OS version that these phones will run on. 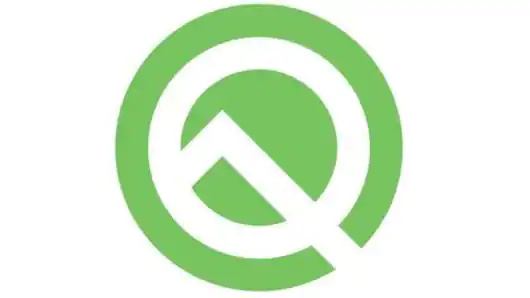 Currently, the flagship smartphones are being updated to Android Pie OS, but the older devices are still stuck on Android Oreo. Even the recently launched Galaxy M10 and Galaxy M20 don’t come with Android Pie OS, which is something disappointing. 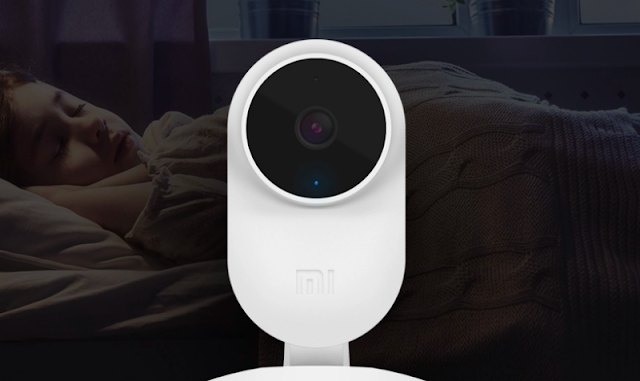 The Mi Home Security Camera Basic also comes packed with advanced AI motion detection feature and superior algorithms which Xiaomi says is capable of filtering out false alarms. The Security Camera Basic also includes features like intelligent detection function. This feature helps users to get push notifications when there’s some movement. Another interesting feature that the new Mi Home Security Camera Basic comes packed with is Talkback. Xiaomi says that the Talkback feature improves the overall voice calling experience. The camera also includes a feature called picture-in-picture mode which basically enables users to check on their sleeping baby while watching movies or playing a game. Meanwhile, along with OnePlus, several other smartphone makers like Huawei, Samsung, Vivo, LG, and ZTE are also working on a 5G smartphone to launch at the Mobile World Congress 2019. Xiaomi has a booth at the MWC 2019 where it’s expected to showcase a 5G model of the Mi Mix 3, while Vivo might display the 5G variant of its Nex Dual. We received an anonymous tip via email from an alleged inside source in Samsung's retail channel. 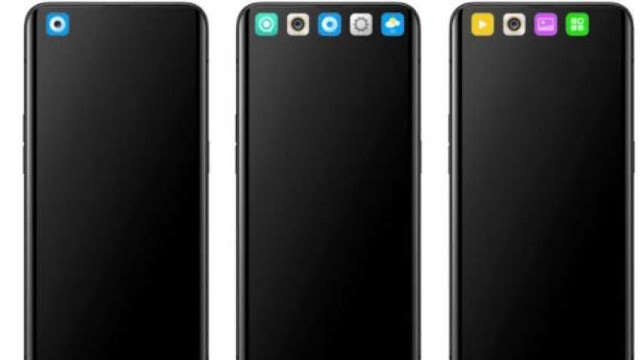 The tip consists of two sheets with the detailed specs of the Galaxy S10, Galaxy S10+ and Galaxy S10e. We cannot verify that these are the correct specs but they do fall in line with the numerous leaks we've covered in the previous weeks. There are the final tidbits such as the new 10 scene optimizer settings and the new Zoom and Color point effects in the camera. The three Galaxy S10 flagships will be unveiled in less than 10 days and all of these leaks will be put to an end. Stay tuned until then as there will likely be more leaks in the meantime. According to the report, OPPO R19 has a blue-purple gradient finish. However, it may be launched in other colours too. There is no confirmation yet on when the smartphone will be launched. OPPO may unveil it in China before the OPPO F11 Pro launches in India. Moving on to the display of the Galaxy M20, it features a 6.3-inch FHD+ (2340 x 1080p) PLS TFT display which is Samsung’s own technology similar to TFT. The color reproduction of the display is bright and typical of Samsung’s saturated displays, which is impressive by all means. One of the more appreciable aspects of the display is that it is quite bright and you would not have any any problem with its outdoor visibility. The volume rocker and the power key seems much better than the previous Samsung phones in this segment and are much more solid now without anything feeling loose. This has been typical in the mid ranged and the costlier Samsung smartphone, and the inclusion in the budget segment is an improvement of sorts for the company. The inclusion of Type-C for charging and interface with other devices is also an improvement and the fact that this comes with fast-charging capabilities also earns a thumbs up. Booting up to the software of the Galaxy M20, I observed that Samsung has stuck to its Experience UI despite having introduced the new OneUI which has been professed as a big improvement over the previous one. Galaxy M20 does not yet have Android 9 Pie and is still stuck at Android 8.1 Oreo after the January 2019 security patch. The UI itself is no different from what we have seen in the previous Samsung devices, and we hope Samsung brings OneUI to this segment of devices as well. Moving on to the battery performance of the Samsung Galaxy M20, it has been impressive to say the least. I will mention outright that generally I am not too heavy a smartphone user and in my regular medium use of the smartphone, it easily lasted 1.5 days with a single full charge. This includes a couple of PUBG matches a day, a couple of product shots, 30-40 minutes of streaming high quality video, browsing social media for the rest of the day. But to test out the extended battery capability of the device, I extended the usage and the gaming hours to match heavy usage and the battery still lasted about a day on a single charge. The software integration of the Face Unlock is pretty accurate (slightly slow), but definitely better than the Galaxy M10. The fingerprint sensor is pretty snappy and seems at par with even costlier devices. 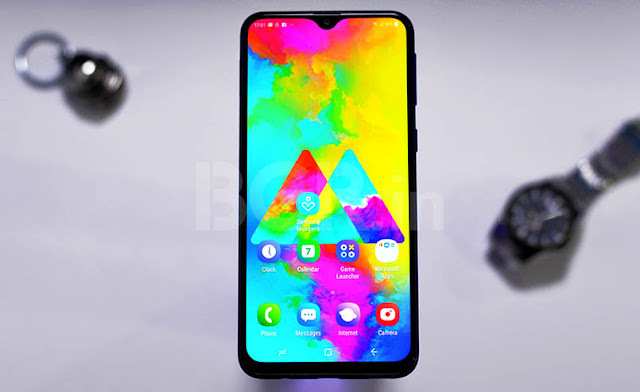 The Samsung Galaxy M20 is a definite improvement over the previous Galaxy On series and Galaxy J series smartphones that we have seen. It shows that Samsung is willing to move towards making better phones for the budget segment, even though it has not reached there yet. The Galaxy M20 has impressive battery backup and the great display with performance which is quite up to the mark. But one of Samsung’s old faults of not incorporating better camera modules persists, considering the competing brands excel in the camera department especially. In terms of the pricing, the variant I reviewed with 4GB RAM and 64GB internal storage is priced at Rs 12,990 which seems like fair pricing for the device even when comparing its positives and negatives to smartphones like the Xiaomi Redmi Note 6 Pro and Asus ZenFone Max Pro M2.